Church history is one of the most compelling and interesting parts of human history, filled with wisdom and understanding about how the heights of human greatness can be attained or how the worst mistakes can be made. A popular quote and truth is, Those who do not know history are doomed to repeat it. Some of the greatest of all mistakes seem to be repeated by every generation, and only those with the wisdom and humility to learn from the past are likely to break this cycle. By learning from history, we can also multiply our victories. 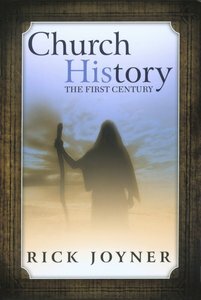 About "Church History; the First Century"